In the last few decades, Canadian and Quebecois literatures have been catapulted onto the global stage, gaining international readership and recognition. “Canada and Its Americas” challenges the convention that study of this literature should be limited to its place within national borders, arguing that these works should be examined from the perspective of their place and influence within the Americas as a whole. The essays in this volume, a groundbreaking work in the burgeoning field of hemispheric American studies, expand the horizons of Canadian and Quebecois literatures, suggest alternative approaches to models centred on the United States, and analyse the risks and benefits of hemispheric approaches to Canada and Quebec. Revealing the connections among a broad range of Canadian, Quebecois, American, Caribbean, Latin American, and diasporic literatures, the contributors critique the neglect of Canadian works in Hemispheric studies and show how such writing can be successfully integrated into an emerging area of literary inquiry. An important development in understanding the diversity of literatures throughout the western hemisphere, “Canada and Its Americas” reveals exciting new ways for thinking about transnationalism, regionalism, border cultures, and the literatures they produce. Siemerling, Winfried, Sarah Philips Castell. 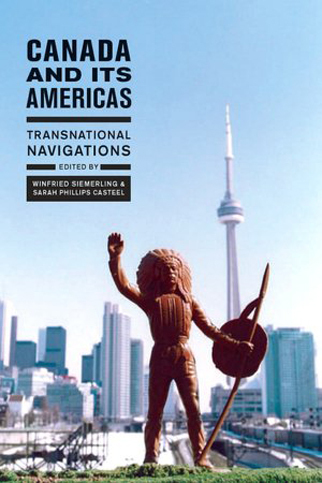 Canada and Its Americas: Transnational Navigations. Mcgill Queens UP, 2010.